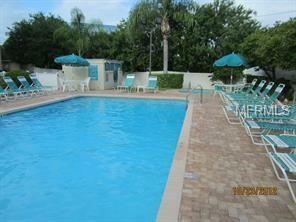 This GROUND floor, unfurnished 2 bedroom/2 bath is located in the gated, golfing community of Cove Cay. Updated kitchen with SS appliances and updated bathrooms. Beautiful ceramic tile throughout. Full size washer/dryer located in kitchen area. Enjoy your morning coffee or evening beverage on your private, screened-in patio. The community amenities include and pool and clubhouse.